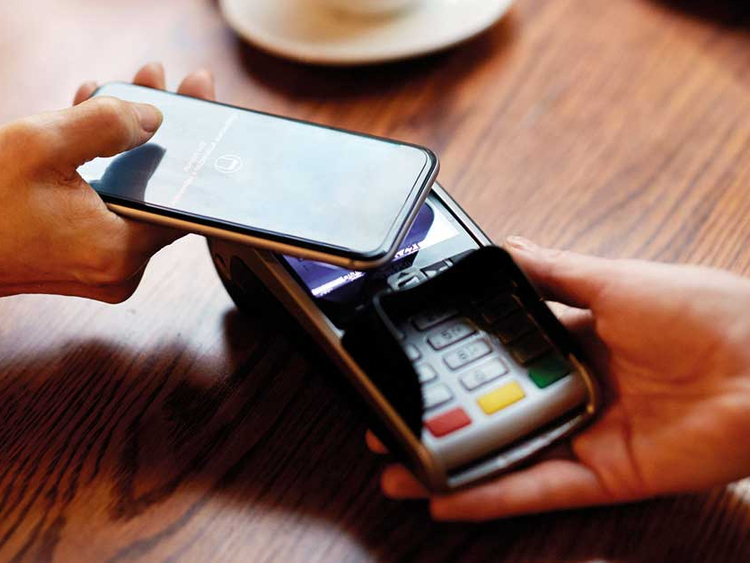 Dubai: Consumers are spoilt for choice when it comes to mobile payment options in the UAE due to the tech-savvy youth and higher smartphone penetration rate. Suvo Sarkar, senior executive vice-president, head of retail banking and wealth management at Emirates NBD, said that mobile payments are witnessing significant growth since the launch of Samsung Pay, Emirates NBD Pay and Apple Pay in the UAE. Contactless payments now exceed 10 per cent of Emirates NBD’s total payments as compared to two per cent three years ago. Currently, he said that only eight per cent of our transactions are conducted face-to-face. Digital transactions are going up 30 per cent year on year. “Digital banking is growing fast, driven by high smartphone penetration and a growing millennial population,” he said. Right now, Apple Pay, Samsung Pay, Emirates NBD Pay, Mashreq Pay, FAB payit, Etisalat Wallet, Enoc VIP and Beam Wallet are being used in the UAE. The Emirates Digital Wallet, a project led by the UAE Banks Federation and an association of 49 banks, is expected to launch its service later this year. Pankaj Kundra, head of payments at Mashreq, said that mobile payments are growing very fast. The ecosystem took off in 2017. Samsung Pay was launched in March while Mashreq Pay in June and Apple Pay in October. “The initial take-up rate has been promising with almost 20 per cent growth month on month due to the new users who are coming on to the digital payments. The trend is catching up after the customer has made a few payments and he or she gets hooked on to the platform,” he said. He said that the infrastructure in the UAE to accept the digital payments is also excellent. “Seventy-five per cent of our PoS [point of sale] network is NFC-enabled, which means that the acceptance of the digital payments is also available. The demand and the supply side are meeting at a perfect point to create the ecosystem for digital payments in the UAE,” he said. Apart from these wallets, Alibaba’s Alipay has entered the UAE in partnering with Mashreq. Alipay is the largest third-party payment platform in the world, coming out of China in 2004. Sarkar said that customers coming into the UAE from East Asia are accustomed to paying with Alipay or UnionPay and having their cards accepted globally. Opening up the ecosystem is a step in the right direction towards wider acceptance of digital payments. Kundra said that Alipay is one of the largest digital wallet platforms in China and both the UAE and China are also enjoying excellent relationships. “Even some of the directions at some malls are in Chinese and Mandarin, and some staff at high-end retail outlets are Chinese. Clearly, there is a huge opportunity for a bank like us to provide more convenience to Chinese visitors,” he said. So, he said that there is a high chance of any Chinese customer coming into the UAE having an Alipay. Till now, he said that they [Chinese] could not use Alipay because the acceptance of PoS infrastructure was not equipped to accept that payment. “We have picked up all the luxury high-end retail outlets where the Chinese tourists visits often and eventually we will keep spreading our network and make it possible across all our entire network,” he said. Customers can use Alipay at — Galeries Lafayette, Le BHV Marais, Calvin Klein, At the Top Burj Khalifa, Rivoli, Tommy Hilfiger, Juicy Couture, New Balance, Beverly Hills Polo Club, Tim Hortons, Harvey Nichols’ Dubai store, Bloomingdale’s Dubai fashion and home stores, leather accessories label Coach, Al Tayer Group’s food and beverage outlets across Dubai Mall and Mall of the Emirates, including Almaz by Momo, Caffe Nero, Emporio Armani Caffe, Magnolia Bakery and More Cafe. Rabia Yasmeen, analyst for services and payments at Euromonitor International, said that Alipay is expanding worldwide and have already taken over PayPal and Apple Pay in the US. “For any global player, they would like to explore the potential and increase its market share across various regions. Chinese tourists are a very important segment, especially know with the visa-on-arrival policy,” she said. According to Dubai Tourism, UAE represents one of the fastest-growing tourist destinations for the Chinese, with 41 per cent increase in the number of Chinese visitors last year. The UAE recorded a strong growth in the number of Chinese tourists last year. With these sort of market changes happening, Yasmeen said that Alipay is the most formidable platform they are using and prefer to use Alipay. “If Alipay is not here, the Chinese tourists are losing an opportunity,” she said. Yasmeen added that Alipay is different from other payment options. Alipay has developed an escrow account. “The payment is not released to the other party. The escrow account is owned by Alipay,” she said. For example, if you buy a product from a store, you have the ability to not to make the payment immediately until you receive the product and are satisfied with it. “The money stays in the escrow account and then the buyer releases the payment option to move the money to the store’s account. Overall, the transaction risk is reduced for online payments,” she said.